Paul Buta, Ph. 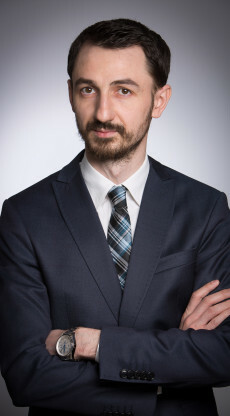 D. in Intellectual Property Law and Assistant Professor with the “Nicolae Titulescu” Faculty of Law, has over 12 years experience in the field and has specialized in intellectual property law, competition law and civil and commercial litigation. His involvement has mainly been in complex projects involving both assistance and representation of a significant portfolio of international clients (mainly foreign investors and multinationals) on issues pertaining to intellectual property law, competition law as well as related dispute resolution proceedings. Paul is also recognized for his expertise in tax litigation and international arbitration, particularly for his ability to analyze multifaceted factual situations and to provide innovative solutions in order to successfully manage complex projects and commercial disputes. Acting for a world top 3 telecommunications equipment manufacturer in respect of intellectual property law and competition law proceedings regarding FRAND obligations and the alleged infringement of Standard Essential Patents asserted in a global dispute by a Non-Practicing Entity. Retained by a leading world manufacturer of home appliances in respect of court proceedings regarding the suspension and annulment of a Romanian Competition Council Decision sanctioning the Client for an alleged breach of competition law. Advising and representing the largest Romanian broadcasting organization in court proceedings regarding the payment of related rights of broadcasting entities, in relation to an abuse of dominant position by the largest cable distributor in Romania, in proceedings for the annulment of a Romanian Competition Council Decision which included recommendations to the National Council for the Audiovisual to modify existing ‘must carry’ rules. Consulting and representing one of the largest pharmaceutical companies in the world in administrative and court proceedings regarding the claim for the annulment of a Romanian Competition Council Decision finding there was no abuse of dominant position by the Client and in respect of a claim for damages in excess of € 80 million. Assisting and representing a leading global firearms manufacturer in court proceedings regarding the suspension and annulment of a Romanian Competition Council Decision sanctioning the Client for an alleged breach of competition law. Consulting and representing a leading worldwide alliance of DIY products suppliers in court proceedings regarding the infringement, by one of the largest DIY retailers in Romania of a registered Community trademark. Retained by one of the largest European banks in relation to court proceedings regarding the use of its trademarks in Romania. Acting for a major global pharmaceuticals company in relation to administrative and court proceedings regarding the granting of patent licenses in Romania and the protection of patent rights concerning pharmaceutical products in Romania. Retained by the world’s foremost sporting association in respect of court proceedings regarding the infringement of Client’s trademark rights by a major global soft drinks producing company. Acting for a major Baltic pharmaceuticals company in relation to court and administrative proceedings regarding the application to register trademarks similar to those of the Client. Assisting and representing a regional pharmaceuticals company in administrative and court proceedings regarding the scope of patent protection for certain pharmaceutical products in Romania and in court proceedings regarding the annulment of a patent for pharmaceutical products. Retained by a consortium of major global pharmaceutical companies in respect of the enforcement of industrial property rights in Romania. Representing a Romanian top five grocery producer in court proceedings regarding the alleged infringement of a colour trademark. Retained by the world’s leading cosmetics manufacturer in respect of the enforcement of its intellectual property rights in Romania. Assisting one of the largest global textile manufacturers with the enforcement of its intellectual property rights on the Internet. Retained by an on-line music streaming service with regard to claims for payment of copyrights remunerations by a Romanian collective rights management organization. Consulting and representing the Romanian subsidiary of a major global retail group the Client in court proceedings regarding the alleged infringement of trademarks for sport shoes. Retained by a major Romanian spirits producer in relation to the claim for revocation of a key trademark used by the company. Consulting and representing one of the largest Romanian TV broadcasters in court proceedings regarding copyright and related rights (defending against claims by a collective management organization for remuneration due; defending against claims by composers of music created for use in TV commercials for remuneration due; defending against claims by a collective management organization for remuneration due for author’s of literary works. Advising a Romanian collective rights management organization in matters pertaining to the law concerning payment of a musical stamp on distribution of phonograms and assisting the Client in the founding and registration of an association of authors of creative works. Consulting and representing a Global NGO with respect to claims of infringement of its trademarks and trade names. 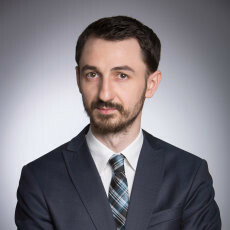 Advising and representing a well-known Romanian journalist and documentary film producer in court claims regarding the alleged infringement of trademark rights and copyright in photographs. Retained by a local NGO of automobile press publishers in relation to court proceedings regarding the annulment of a competitor’s trademark. Consulting and representing a local cab company in court proceedings regarding a precedent-setting claim for annulment of its trademark due to an alleged infringement of earlier rights in a competitor’s emblem. Advising a local service provider for the food industry in respect of criminal proceedings for the alleged infringement of copyright in standards. Consulting and representing a European dairy producer in court proceedings regarding the alleged infringement of a competitor’s trademarks. Advising an important Romanian wine producer in respect of novel claims for annulment of trademarks and geographical indications. Assisting the heir of the inventor of the sonic oil-drilling process with claims for reparations for the use a patented invention during the Communist regime. Advising a consortium of services providers for energy sector in respect of international arbitration proceedings under ICC rules with claims worth over € 25 million. Retained by the largest printer consumables distributor in Romania in matters pertaining to a claim regarding an alleged breach of competition law initiated by a distributor. Consulting and representing a local distributor of hospitality software in relation to novel criminal charges of copyright infringement of a computer program. Advising a Romanian distributor of hearing aids in what concerns claims for debt owed to a foreign partner. Retained by a Romanian political party in relation to claims of alleged infringement of copyright in a song by the use thereof for electoral ends. Assisting one of the largest telcommunications operators in the world in respect of its trademark portfolio in Romania, assisting and representing the Client before the Romanian Office for Patents and Trademarks (OSIM) and the OHIM. Acting for a major global cosmetics manufacturer in respect of management of the Client’s trademark portfolio in Romania. Assisting a major Romanian airline with respect to administrative proceedings for the transfer of trademark rights and with an Intellectual Property Right audit of the company. Consulting the largest Romanian distributor of spare parts for automobiles in respect of intellectual property protection of such spare parts. Retained by two well-known international heavy machinery manufacturers for managing their patent portfolio in Romania. Retained by the world leading search-engine company for legal advice regarding copyright and related rights as well as in respect of the relationship with Collective rights management organizations in Romania. Retained by an important global magazine publisher for the registration of trademarks and the management of the client’s trademark portfolio in Romania. Retained by a Global pharmaceuticals company in respect of administrative proceedings related to regards the registration of Client’s trademarks. Retained by a global outdoor advertising company for administrative proceedings meant to block the registration of a competitor’s trademark. Assisting a major European retail chain with unfair competition claims concerning a service provider’s actions in Romania. Assisting a major European TV broadcaster in what concerns the Intellectual Property aspects pertaining to the elimination of Client’s TV stations from a cable provider’s network. Consulting a local toys distributor in what regards the detention by customs authorities of imports suspected of infringing intellectual property rights. Advising the second largest Romanian airport in respect of the airport modernization project, especially aspects pertaining to protection by means of copyright of technical studies created for the project, reviewing public procurement procedures pertaining to the project and the review of ongoing contracts. Advising a major Romanian stock brokerage company in respect of contracts for the supply of a complex IT solution for stock market transactioning and assisting in negotiations for the conclusion of the contracts. Advising a major foreign rail infrastructure consultancy in respect of copyright in technical studies and projects created for the modernization of railway corrdiors part of the IVth Pan-European Corridor. Assisting and representing an important foreign investor in relation to intellectual property matters arising out of the acquisition of a series of local companies in the rail infrastructure sector. Assisting and representing a European dietary supplements manufacturer in administrative proceedings concerning the mortgaging of Intellectual Property assets in Romania. Advising a luxury automobile distributor with respect to an Intellectual Property Right audit in view of a proposed merger. Assisting and representing a European retail chain in administrative proceedings related to the transfer of intellectual property assets in Romania. Assisting a major global pharmaceuticals company in matters pertaining to the patents of a local pharmaceuticals company in view of a proposed acquisition of said local company. Retained by the largest Romanian-owned private bank for advice in the process of acquiring a core-banking system worth € 15 million. Assisting the Romanian partner of Open University UK in the restructuring the activity of the company and sale of a majority holding to a Romanian investor. Advising a global specialty chemical company with respect to the regulatory approvals to market a biocide in Romania. Consulting a Romanian network services provider in regard to public procurement contracts for telecommunications services.